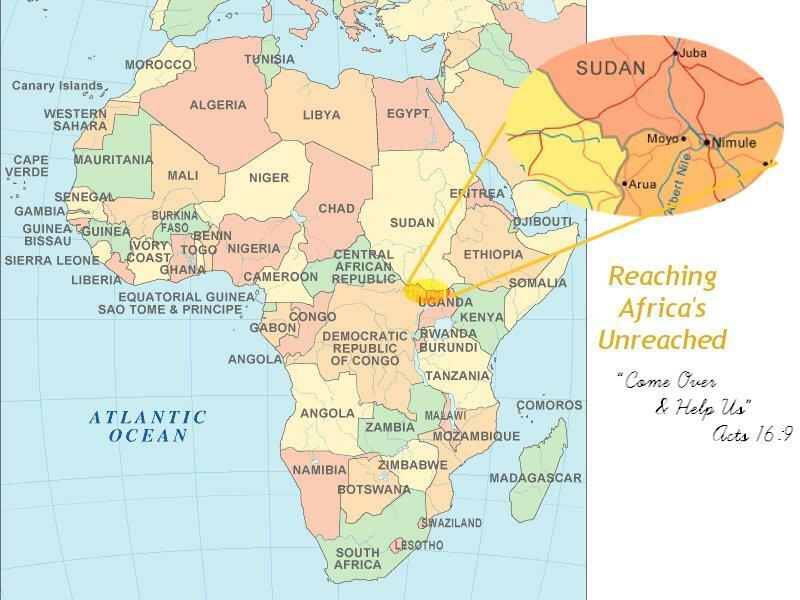 Reaching Africa’s Unreached is located at the tip of the pen. 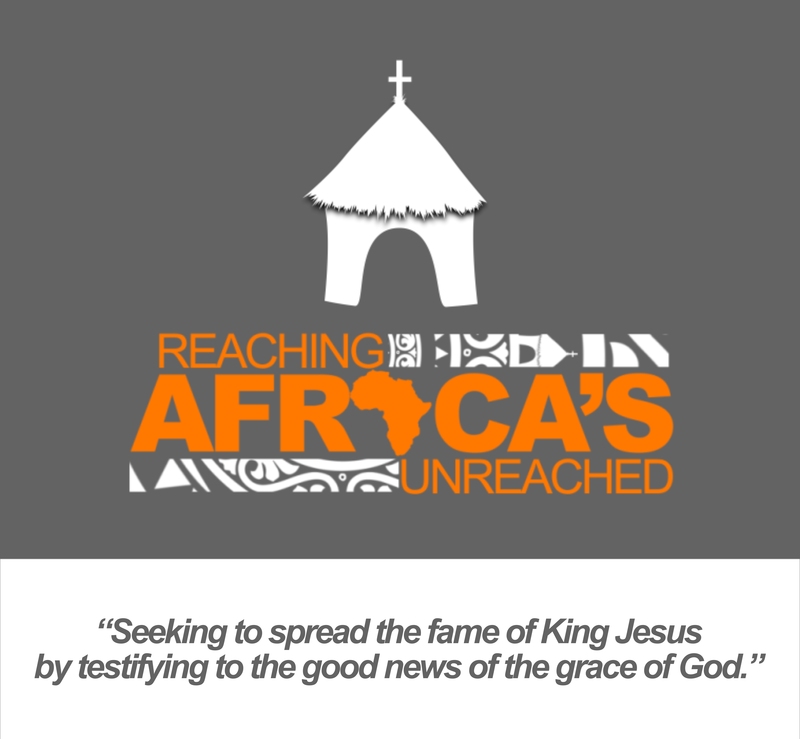 Our Mission is to reach Africa’s unreached people groups with the glorious Gospel of Jesus by planting Christ exalting churches in their midst. Furthermore, we will endeavor to strengthen local churches and their leaders through careful exposition of the Scriptures in word and deed that they may be strengthened to plant churches in nearby villages with no church and unreached peoples in their geographical regions. Our greatest concern is that Jesus Christ would be exalted and worshiped among all nations, tribes, peoples, and languages (Revelation 5:9-10). We find our motivation to be in God and not man. Jesus has commanded us, “All authority in heaven and earth has been given to me. Go therefore and make disciples of all nations, baptizing them in the Name of the Father, Son, and Holy Spirit, teaching them to observe all that I have commanded you. And behold, I am with you to the end of the age.” (Matthew 28:17-20). The greatest need of every person and of every culture is the clear proclamation of the Gospel! It is our conviction that the Gospel is the “power of God for salvation” (Romans 1:16) and we have been entrusted to proclaim it passionately and rightly. Our dependence is upon the Holy Spirit for the power to preach, teach, live and endure all things for the sake of the elect. (1 Timothy 2:10). As Christians, we are called to lay down our lives so that the Gospel will be preached to all. As ones who are confident in God’s sovereignty and passionate for His glory we seek to reach the many that have never heard of the Savior and His work of reconciliation. We understand that this work cannot be accomplished in our own strength but only through the supernatural power of the Holy Spirit. The means He uses in His people are cross-centered living, sacrificial and loving service, Bible-soaked preaching/teaching, fervent intercessory prayer, and Christ-likeness. We hold that the primary work of missions is to plant local churches which in turn plant other local churches. 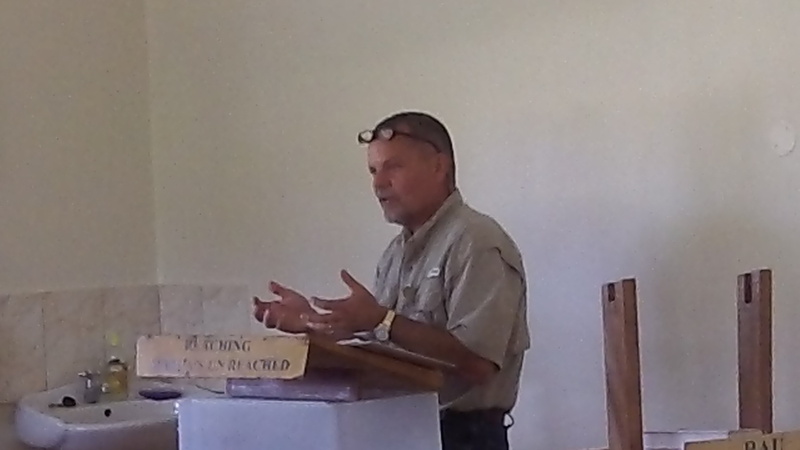 Our goals, therefore, are to see new churches planted in unreached areas and to assist operating local churches through Biblical exposition which is “profitable for teaching, for reproof, for correction, and for training in righteousness, that the man of God may be competent, equipped for every good work” ( 2 Timothy 3:16-17). As much as possible we will seek to instruct church leaders who can faithfully teach others (See: 2 Timothy 2:2 & Acts 19:8-10). Multiplication is key! Believers will be trained in a Biblical Worldview that understands the implications Christ’s lordship for all of life. RAU hosts pastors at RAU for four-five days for instruction in the “Hall of Tyrannus” in the fundamentals of the faith. The new and enlarged “Hall of Tyrannus” was completed May 6, 2017. A group photo outside the Hall of Tyrannus. In January of 2011 the Lord providentially granted us the opportunity to purchase 12 acres,an additional adjoining 5 acres in October 2012 , and another 3 acres late 2017 one mile south of the border of South Sudan and five miles north of Moyo North Uganda. South Sudan became the world’s newest country in the world in July 2011. At our web site you can find the story of how the Lord connected the many “dots” to make this purchase possible. The Lord is to be praised! This land’s strategic location will enhances R.A.U.’s ability to bring in pastors, church leaders, church planters, and evangelists for retreats/conferences for Biblical encouragement with the expressed purpose that local congregations will be strengthened and become multiplying congregations. (See 2 Timothy 2:2 & Acts:19:9b-10). The R.A.U. 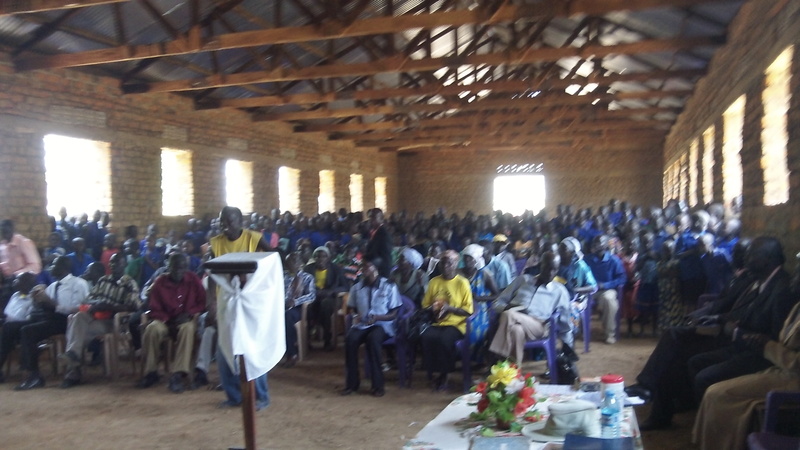 compound will also serve as a base of operations to launch such conferences throughout North Uganda, South Sudan, Northeast Democratic Republic of Congo, Republic of (North) Sudan, and Lord willing North Africa so that the unreached and unengaged peoples in these regions will be reached with the glorious gospel. Furthermore, we will endeavor to place ESV Global Study Bibles, ESV Study Bibles , Reformation Study Bibles, and high-quality Christian literature into the hands of believers. 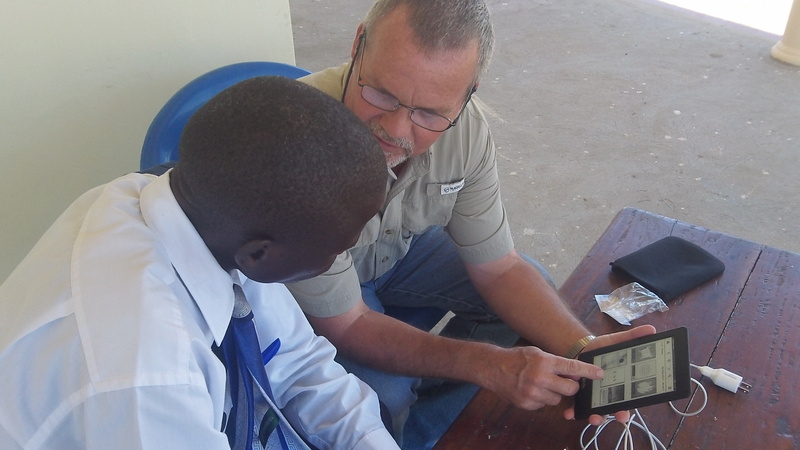 RAU also continues partner with Study To Be Approved placing Kindles loaded with Study Bibles and over many sound books into the hands of key leaders in the region. 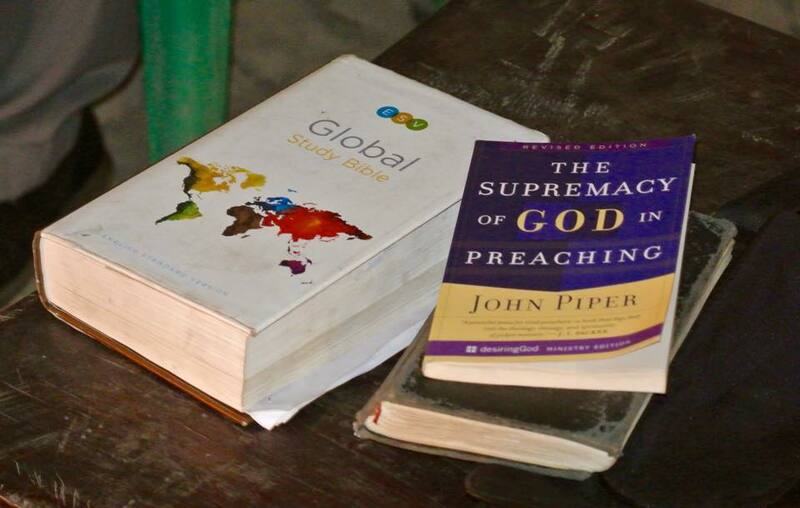 In our first container 1100 Global Study Bibles, over 3500 Biblical sound Christian books, over 40,000 gospel tracts are now being placed into hands of pastors,evangelists, and church planters. Pray that the Lord would use these materials to strengthen His people and bring people into a saving relationship with God Almighty! 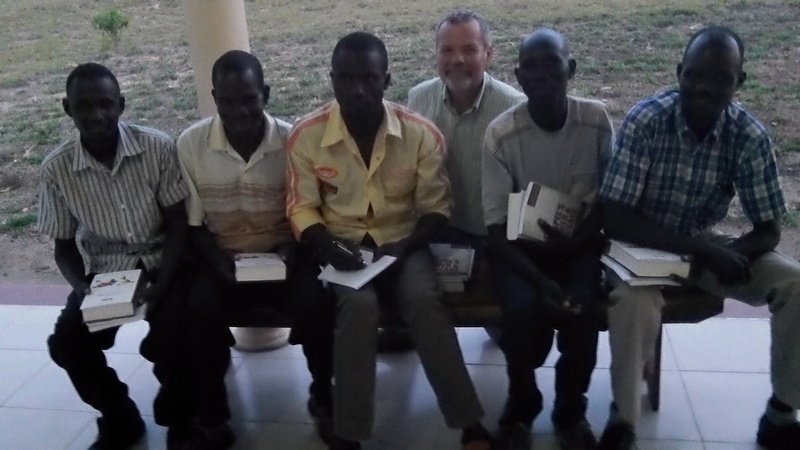 These five young men were some of the first to receive a Global Study Bible and a book. RAU will be working with them ,others ,and their sending congregations over the coming year with hopes that they will go forth to pastor and plant churches in unreached areas. 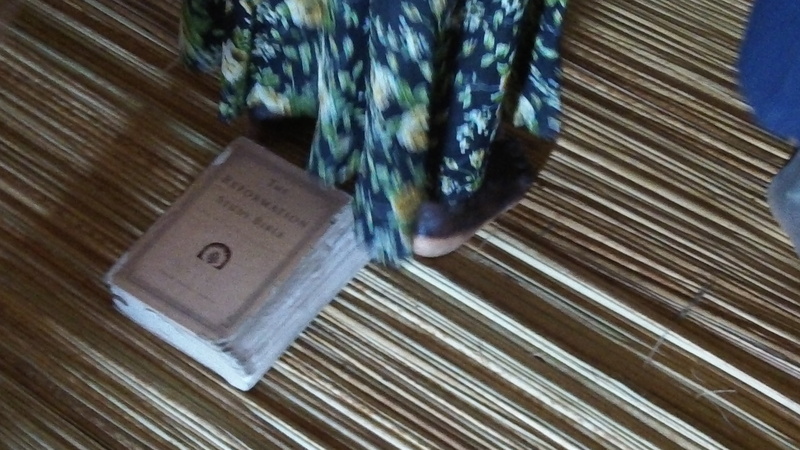 In 2007 500 Reformation Study Bibles were given out. 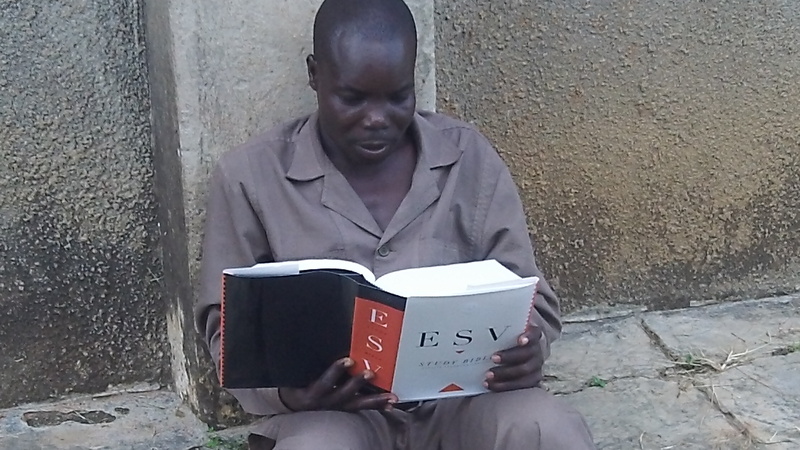 This one was given to a pastor from Obongi North Uganda. 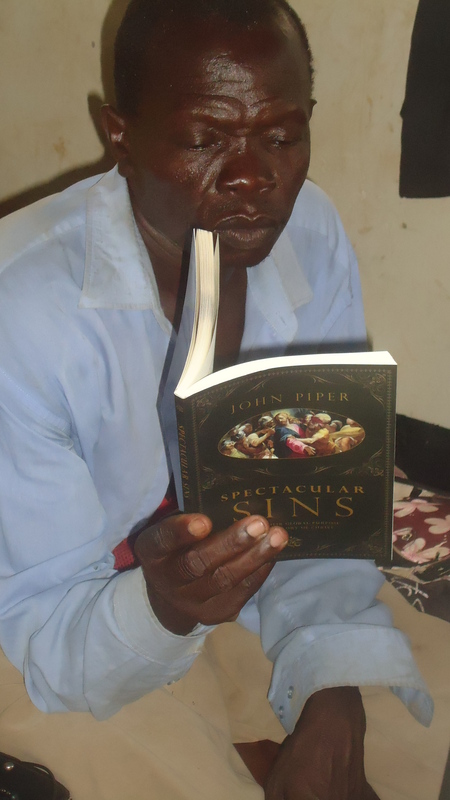 South Sudanese Pastor reading a John Piper book. J.I. 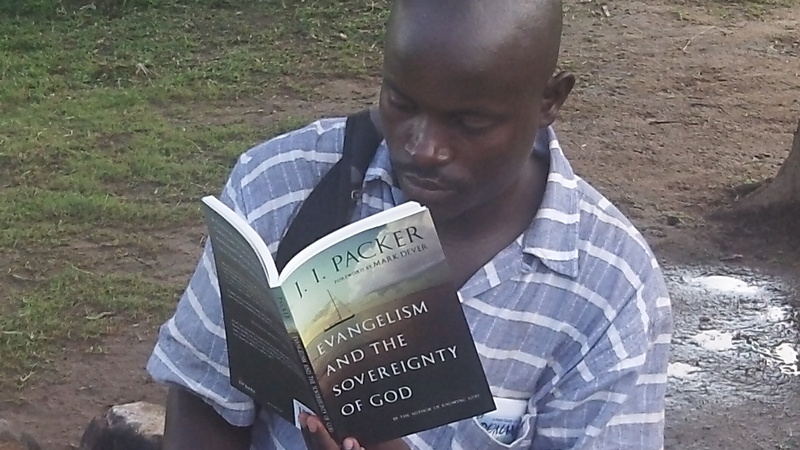 Packer in North Uganda and South Sudan! RAU’s 20 acres gives opportunity for hands-on training for church leaders as well for members from the community. Currently, R.A.U. is working along with Missionary Agricultural Resource Service (M.A.R.S) to help equip pastors and their congregations through agricultural development strategies. RAU hosts a weekly 2-hour, call-in agricultural program on the local radio station led by RAU’s trained agricultural expert. Lord willing, the agricultural endeavors will also help fund RAU in its ministry objectives. Also, as the Lord provides, we desire to develop our new 3 acres for an Agricultural Technical School, tutoring center for local primary and secondary school students, and learning center for English learning lessons. Please pray the provision for the building of this learning center. We have planted numerous fruit bearing trees (mainly grafted Mango’s ), bananas,grains,and vegetables on the 20 acres which ,Lord willing,offset ministry costs. Our 20 acres are also being used as a demonstration plot for the community. The greatest evil is having the gospel and not doing everything within our power to get it to those who do not have it. When at least 35% of the world; “the unoccupied fields”, have no access to the gospel, we (believers) must all do all we can to reach them. We who are saved owe the gospel to every lost person, most especially the 2.4 billion who will not hear unless someone breaks into their “unoccupied field” with no thought of their own life. Our goal in our gospel witness is to take our eyes off the “risk” and place them on the cause for the risk. When God compels us like this he often will not tell us the risks…after all there are no risks for the all-knowing, all-powerful God. So let us be AMBITIOUS (Romans 15:20) to see that ALL are reached with the gospel of grace (Romans 1:16) in ALL places…there are no closed doors to the gospel, just some which are more difficult to go through! Praise the Lord, I’m a Pastor from Kenya. I’m really glad in what you people are doing in Africa. I would like to urge you to continue and even reach our unreached places here in Kenya. Actually there are places here in Kenya which i believe this gospel need to reach. I believe of working with you some days. Thank you Pastor Evans! 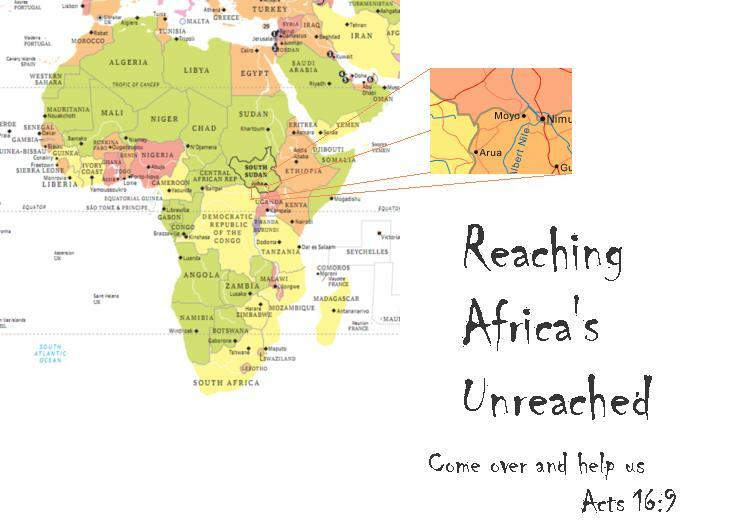 May the Lord continue to bless you in reaching the unreached in Kenya. Let us pray together and for each other that we can faithfully make Jesus known where He is not Known. May the Lord in His providence grant us fellowship time before we meet Him heaven. Hello Brother .greetings from Uganda.l believe its the time of the lord for us to serve him together.personally am a pastor with an Evangelist anointing that God called to serve in 1987 and l have been serving in many places in my a married man to one wife and 5 children.l pastor a church of 500 -700 people in my town where God has called.but by the grace of God l have been to many countries preaching the gospel like Sudan,Kenya,Tanzania,Burundi,Rwanda,Zambia and Congo.these are countries within Africa and l see the hand of the Lord blessing his people in may ways. however,when l read your mail it wasnt a shock because God had lead me and l knew it in my spirit that someone is coming my way by the leading of God and l confirmed it when l got your God be praised.Amen. l run a church called THE BRIDGE OF HOPE MINISTRIES. lf there is anything that l have left out and you what to know please ask freely and l know its the Lords making for us.please your welcome to uganda and send me you phone contact.you can call me on the numbers below. A pastor George form Kenya,God bless you for what your doing to reach the unreachead.may the favour of God continue be with you. Amen. Thank you Pastor George. May our Lord’s presence and power be working in you for His glory throughout Kenya! Blessings to you Idohou! Yes…may Jesus be exalted in all of Benin and throughout all of Africa…may the Name of Jesus be exalted in each and every village, town, and city!! Thank you Michael! Once Carol and I are moved you have an open invitation to come and minister.Thank you for your faithful service in the Body of Christ! Am pastor Agneta in Kenya, I have the Chech in Mt Elgon. I have been seaching for any Organizations to help me to fulfill the call of God, and to reach millions of People in Africa. So i want to inform you if you can stand with me. God bless you i need to hear from you. Let us pray for each other as we seek to make Jesus known where He is not! May the Lord’s blessings/anointing be upon you and your witness for King Jesus! Be encouraged my brother that “God’s work done in God’s way will never lack God’s supply” and that “God isn’t looking for people of great faith, but for individuals ready to follow Him” (Hudson Taylor-17th Century missionary to China). Press on my brother! I need you to reach in kenya am pastor Agneta. Thank you for your very kind and encouraging words. Thank you most of all for your prayers! Our lives are not our own but belong to our King. It is He we joyfully serve seeking to spread His fame to all! May the Lord’s riches blessings be with you! I am very glad to read this great web site after I have been given its address by A friend from USA last year under the title Desiring God international with sub title Theological Famine for the Global Church. 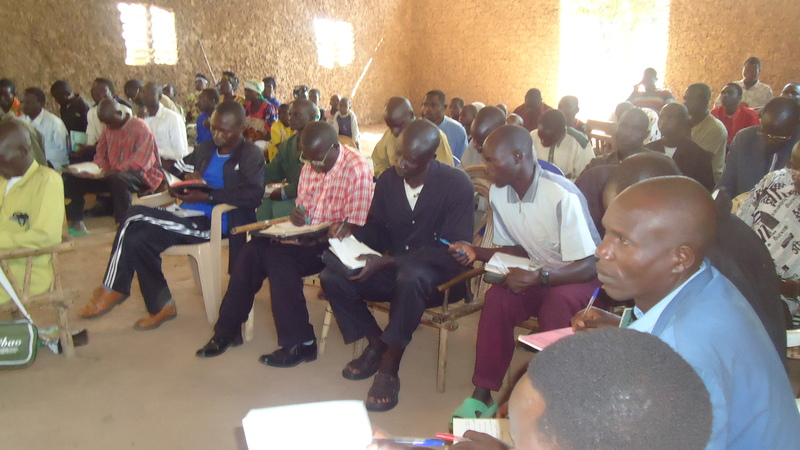 I’m Pastor Loruma Nyerizi Joseph from Evangelical Free Church involving in Church planting, Leaders training at the rural areas particularly at Arilo area of South Sudan EAstern Equatoria State. Praise God for your ministry Pastor! We are located just across the border from South Sudan with the nearest town being Kajo Kechi South Sudan and Moyo North Uganda. It is our vision and mission to actively work in South Sudan as well as Northern Uganda and Northeastern D.R. of Congo. Please keep us in your prayers as we seek to spread the fame of King Jesus in these regions. May the Lord use you as well! If you are ever in our area please stop by for fellowship and tea. Lord willing, my wife and I will be moved to the R.A.U. land by June. Praise God, iam impressed by the work you are doing for reaching unreached. iam a servant of God in the slums of Kenya , pray for our children orphanage ministry in kenya that some day god open doors for our Ministry which ministers to many in the slums to bring hope to them. God bless you richly . What I have read, and observed it is a great gift to Africa to be blessed Jacob Lee. May the Lord bless your ministry! Right now we are ministering only in Northwestern Uganda, South western South Sudan and Northeastern D.R. Congo. May the Lord bless your ministry! Hello in the name of our Lord Jesus Christ. I’ Rev Faustin NDIZIHIWE, Chairma of Africa Inland Church of Rwanda. After visiting your website, we are interested in your activities that glorify the name of Jesus Christ in favor of Africans. I would like to ask you please, a partnership and if possible open your office here in East Africa, especially in the Republic of Rwanda. We are ready to receive you and work with you in the name of Jesus Christ. Thank you for your inquiry. Currently our focus is Northwestern Uganda as well as South Sudan refugees pastors who fled to our area. May the Lord bless you work in Rwanda!! Great work you are doing. Do you have any intention of working also in Zambia? Thank you. Currently our work is in Uganda, South Sudan, D.R. Congo, and (North) Sudan. am ready to serve God any where to full greats commission of our Lord Jesus Christ. am a evangelist Lokinga Luka residing in Tori South Sudan.